This luxurious walking tour takes in the delights of southern Tuscany, from Siena all the way to the sea. 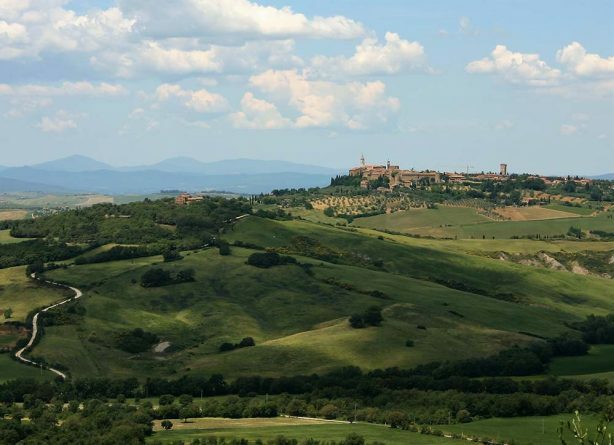 The stunning Val d’Orcia with its picturesque hill towns of Pienza and Montepulciano offer marvelous walks with sweeping views as well as some of Tuscany’s most prestigious wines. Further south we explore the fascinating world of the Etruscans as we walk along their secret pathways carved into stone some 2000 years ago. 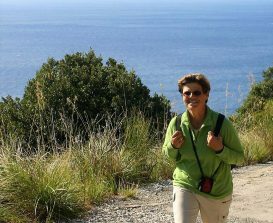 We finish off with a spectacular walk along the rugged coast of Monte Argentario with glorious sea views. 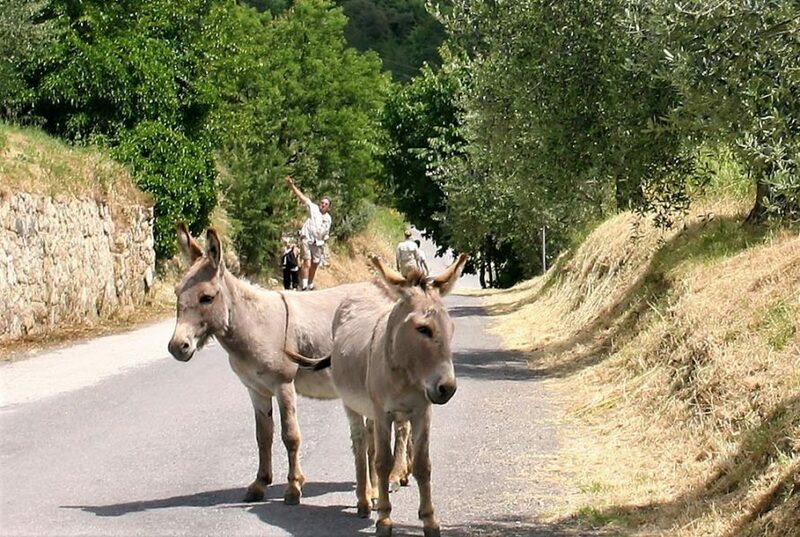 One of our most varied tours, brimming with wonderful contrasts as well as the best food and wine in Tuscany. Meet at a central hotel in Siena, and transfer to the Val d’Orcia area of southern Tuscany. 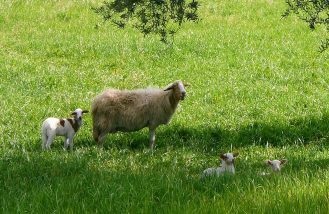 Enjoy an 8 km (5 mile walk) with sweeping views across vineyards and pastures, with medieval towns crowning the hilltop. 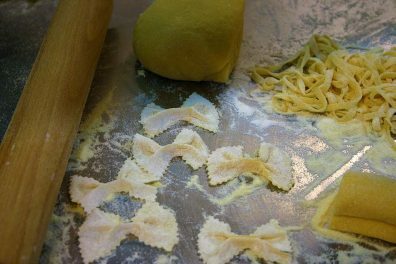 After a delicious lunch of Tuscan-style pasta tossed with local pecorino cheese, take a stroll through the delightful streets of Montefollonico before heading to our hotel. Peek into a 13th century wine cellar and taste the sweet vin santo, a dessert wine aged in tiny barrels in an underground cellar. Check-in to a luxurious oasis with striking views and a pool and garden for relaxing. Enjoy a tasting of the excellent red wine Vino Nobile di Montepulciano produced by a neighboring winemaker before settling down to a leisurely dinner. 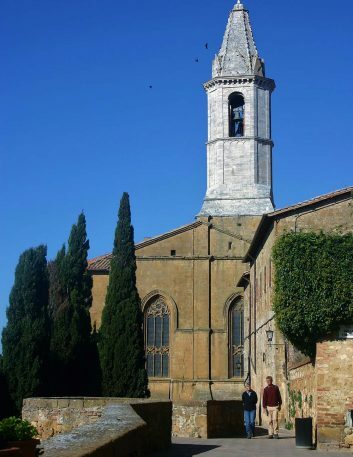 We begin in the perfect village of Pienza, perched on a clifftop and built of golden stone, which was originally designed as the Utopian dream of Pope Pius II. 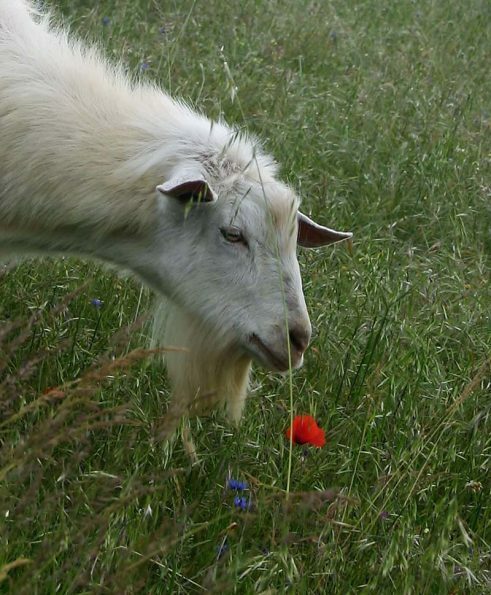 Today it is renowned for its pecorino, a pungent cheese made from sheep’s milk, which perfumes the entire town. 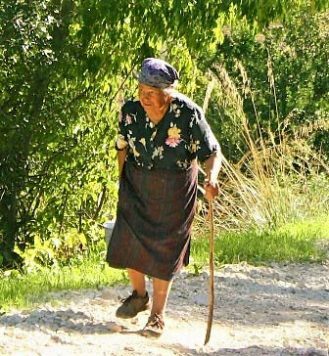 Our 17 km (10.5 mile) walk follows quiet farm roads with far-reaching views across the soft undulating hills of the lovely Orcia valley. 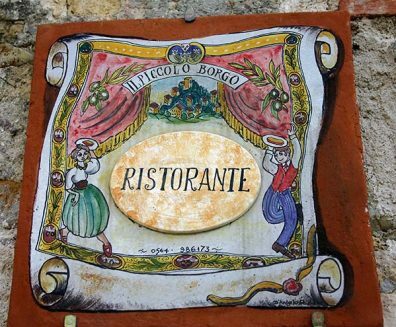 We visit the charming village of Monticchiello where we stop for lunch on the terrace, before reaching our destination, the dignified city of Montepulciano. Explore the town before returning to our gorgeous hotel. Dine together at a noted Ristorante with local specialties such as pappa al pomodoro, a Tuscan tomato soup thickened with bread and flavored with fresh basil. The desserts here are among the best in Tuscany, so save room! 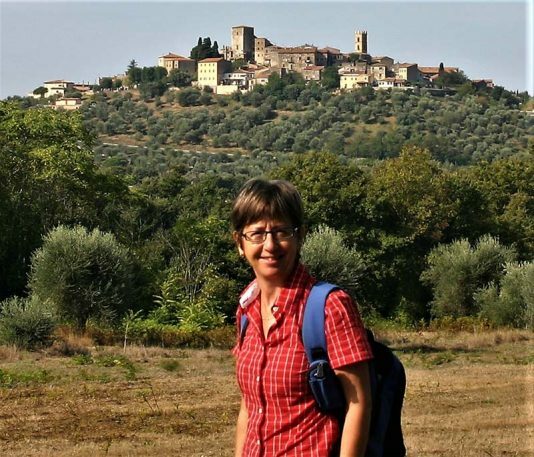 Visit the delightful small town of San Quirico located on the Via Francigena, an ancient pilgrim’s trail that once connected Rome to Paris! 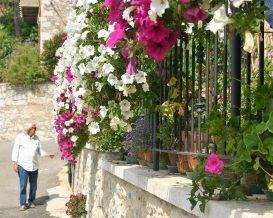 Stroll through the town’s 15th century garden and admire the rustic exterior of the historic wayfarer’s hospital, that once cared for foot travelers in medieval times. Walk 8 km (6 miles) to the village of Bagno Vignoni, where hot springs bubble forth in the piazza once frequented by St. Catherine of Siena. Soak your feet in the narrow stream of warm spring water, and choose a place for lunch before we set off to our next destination. 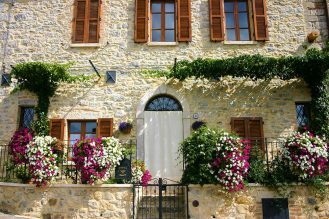 Travel through rural Tuscany known as La Maremma, to the tiny town of Sovana, where we stay in a welcoming inn surrounded by lovely gardens. Explore the town on a brief walking tour, and sample the powerful red wine of Morellino di Scansano. Drive south to the majestic hilltown of Pitigliano, perched upon a rocky crag with an imposing castle, and graced with a Medici aqueduct and a tiny synagogue, all surrounded by ancient Etruscan byways. Sample the traditional Jewish sweets in a bakery tucked into an alley, as curious townspeople peek at us from behind curtained windows. 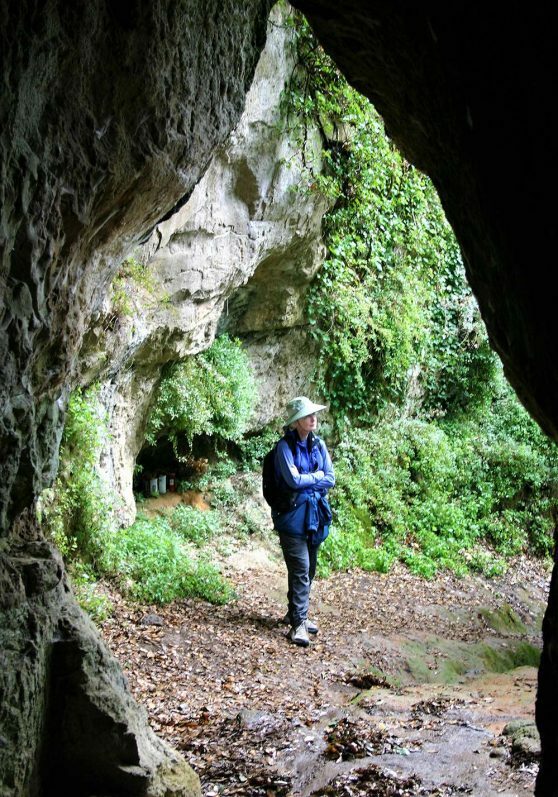 Our 10 km walk steps back in time some 2000 years, entering into the mysterious world of the Etruscans, as we follow their amazing route of secret roads carved out of the soft tufa rock. Continue to Orbetello, a small town situated on a lagoon on the Tuscan coast, where we stay in the best rooms of a 4-star hotel for 2 nights. Free evening for dinner. 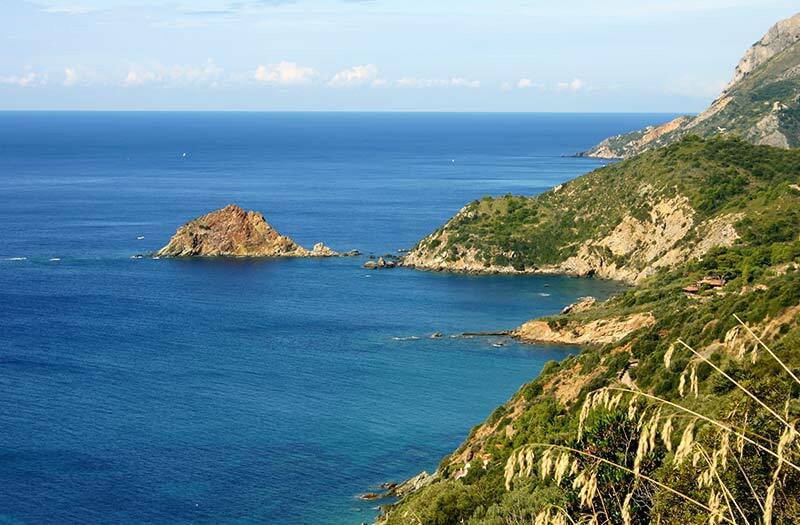 Take a spectacular 10 km (6 mile) walk on Monte Argentario overlooking the impossibly blue sea. Stroll through the chic seaside town of Porto Ercole and taste the creamy gelato while shopping for a yacht. Celebrate with a festive dinner in a special hilltop setting, ending your tour in fine Italian style. Transfer to the Orbetello train station for a morning train to Rome. Arrivederci!